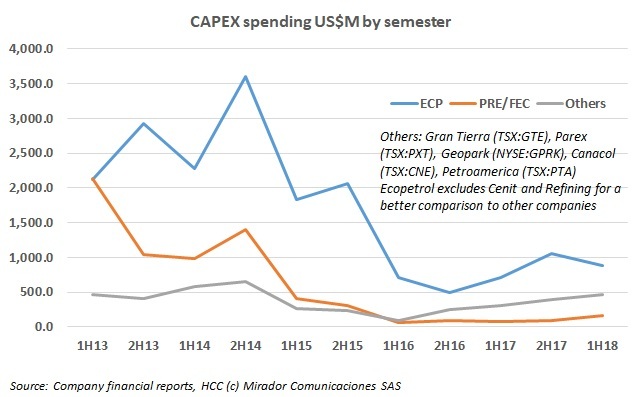 Capex: Where do we go now? There was considerable debate among industry watchers about whether companies spent the Capex they expected to in the first half of 2018 or held the money back. As usual every case is different – and we had to make some assumptions — but it looks like they spent as expected or more, except ECP.